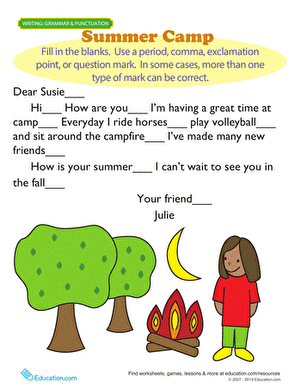 Donnie wants to send a letter from summer camp, but he needs some help with the use of punctuation marks! 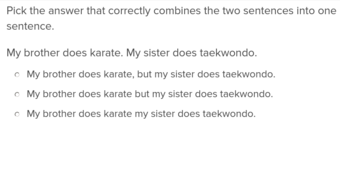 Can your first grader read this passage and use the appropriate punctuation marks? 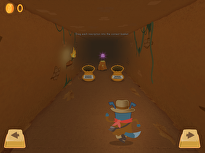 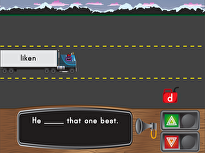 He'll practise reading comprehension, as his understanding of grammar gets a boost. 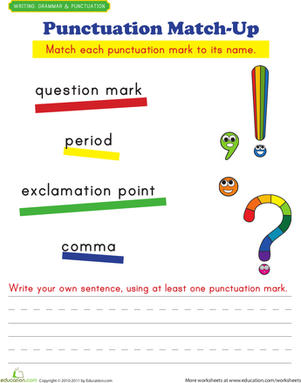 Remember: sometimes more than one type of punctuation mark is correct. 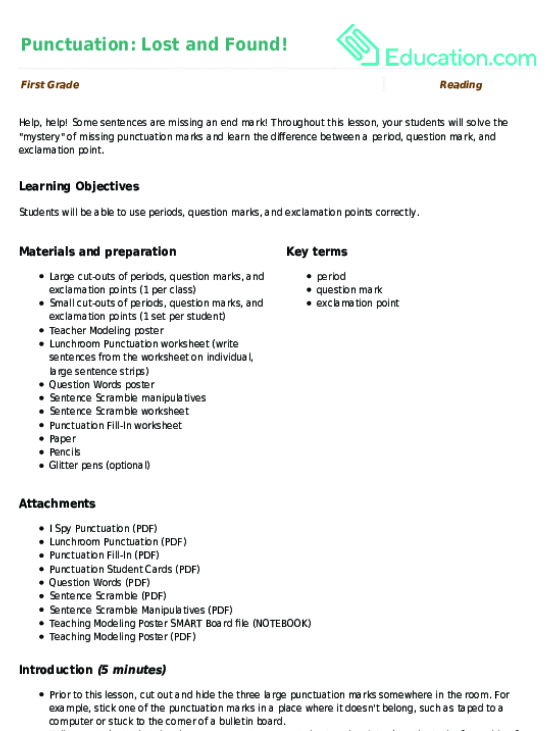 Throughout this lesson, your students will solve the "mystery" of missing punctuation marks and learn the difference between a period, question mark, and exclamation point. 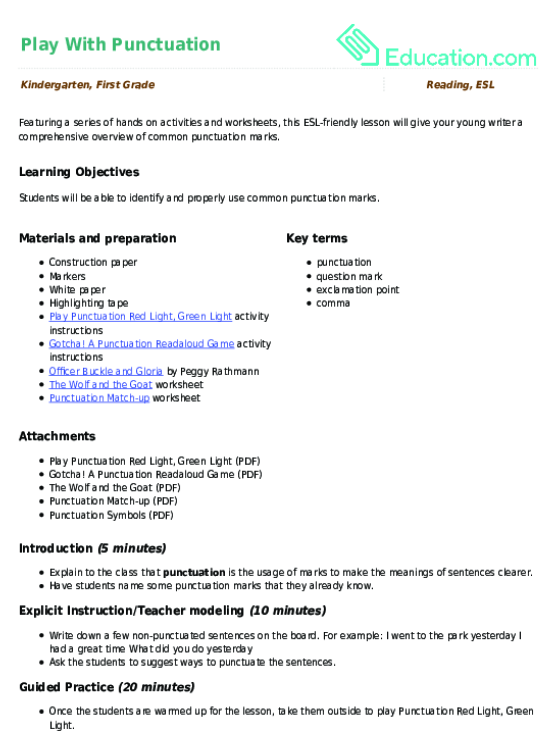 Check out this super-handy worksheet containing flashcards for end marks, a great study tool. 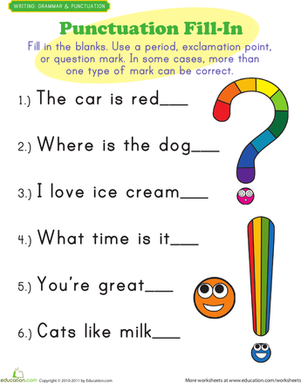 Do your first graders have a solid grasp of how to write sentences with proper end punctuation, or could they use a bit more practise?